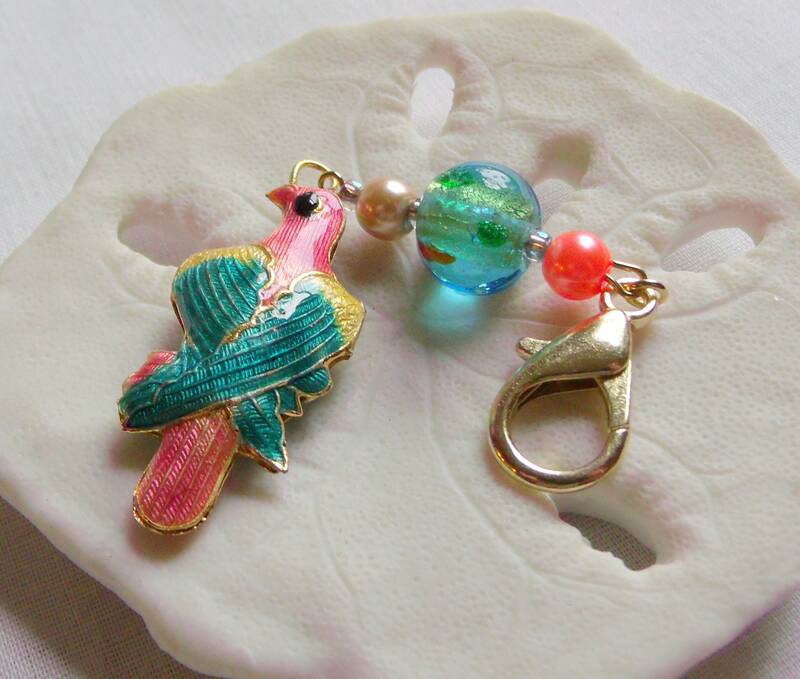 For all who love these bright and colored exotic birds ! 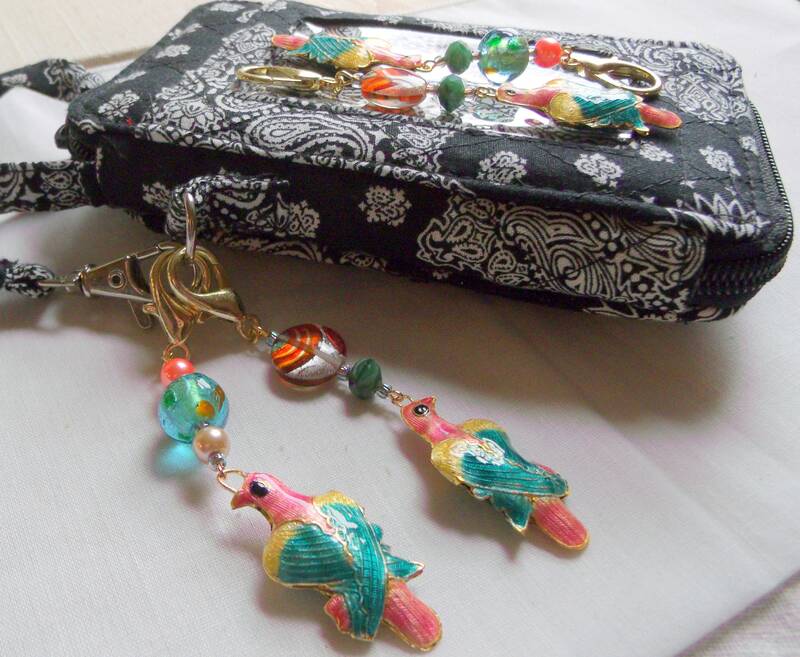 A little charm to bring along to brighten your day --clip top purse, journals ,the birds cage. Give them as gifts , little tokens and treats for yourself. 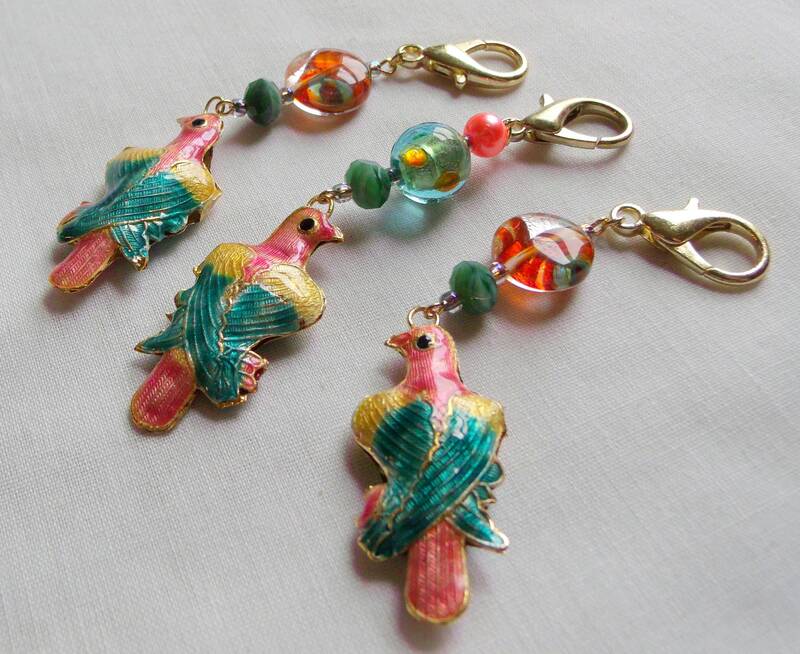 Light weight cloisonne charms and beautiful foil beads create a charming look. 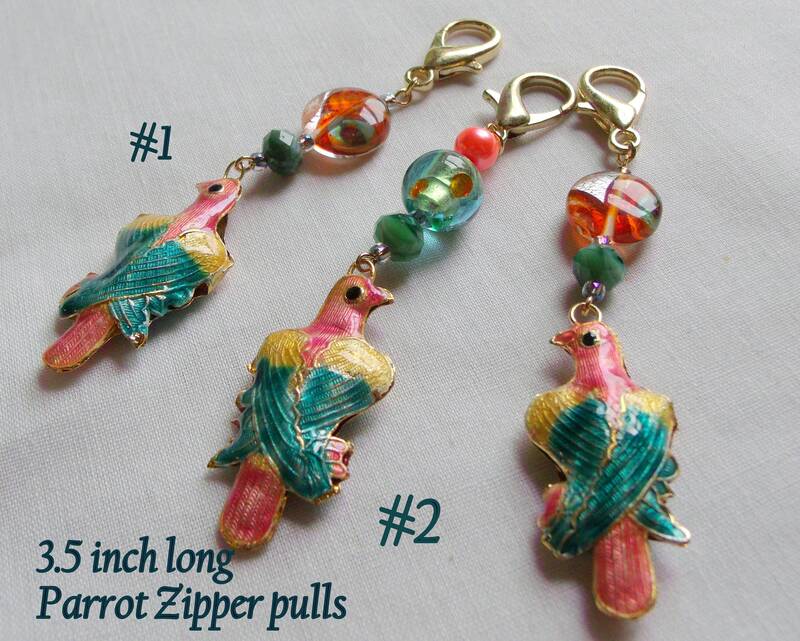 These parrots pulls are the cutest! I will go back for more!